I can’t believe this semester is complete! Grades are entered, final meetings attended, and graduation is on Sunday. Wow. With things slowing down a bit on campus, I am able to work from home much more often. This is appealing for many different reasons, of course, but one of my favorites is that I no longer have to pack a lunch everyday. I have the option of eating something other than the standard sandwich or reheated leftovers (should I feel so inclined…) Plus, now that the days are getting warmer I can enjoy my meal out on the deck as well. I love the summer. My lunch today was a quick meal-for-one that comes together in less than five minutes. Essentially, the inspiration came from my need to use up tomatoes mixed with my craving for tuna. 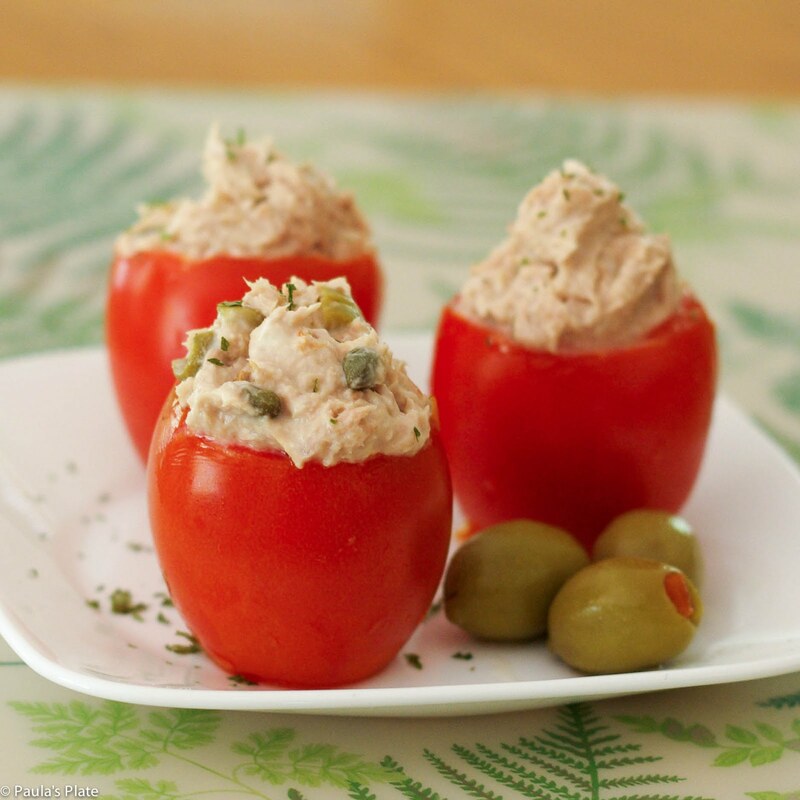 Behold: tuna-stuffed tomatoes. I included a few chopped Spanish olives and capers for a nice tangy bite. (If this is not your cup of tea, feel free to leave them out.) Serve these stuffed tomatoes with you favorite sides and you have a delicious, protein packed meal in minutes. What is your favorite go-to lunch? Let me know below! 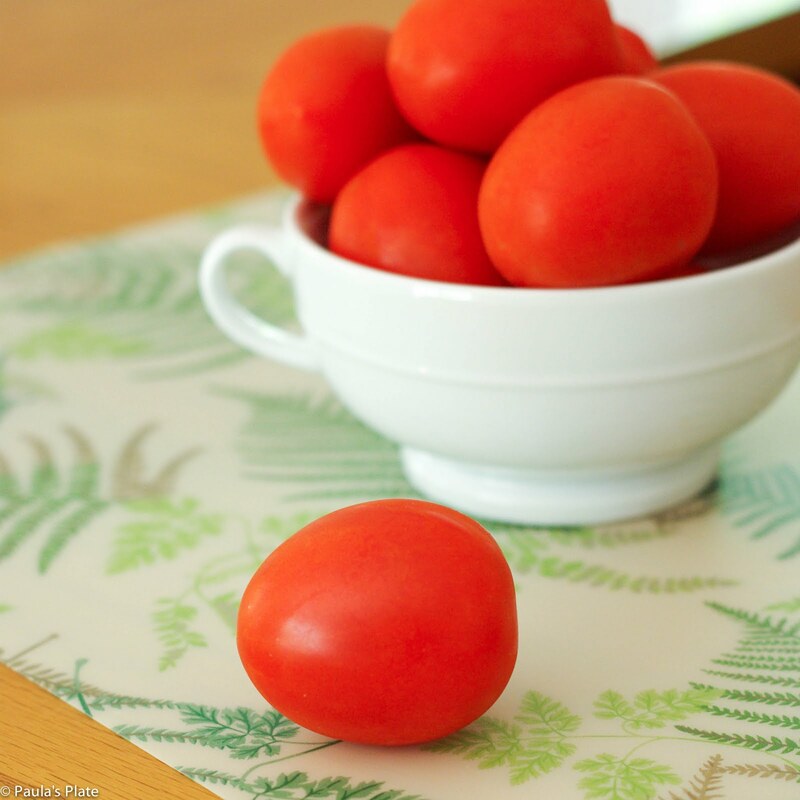 Cut off the top of each Roma tomato. Using a spoon, gently scrape out the seeds and pulp. Be careful not to tear the outer skin. In a bowl mix together the remaining five ingredients. 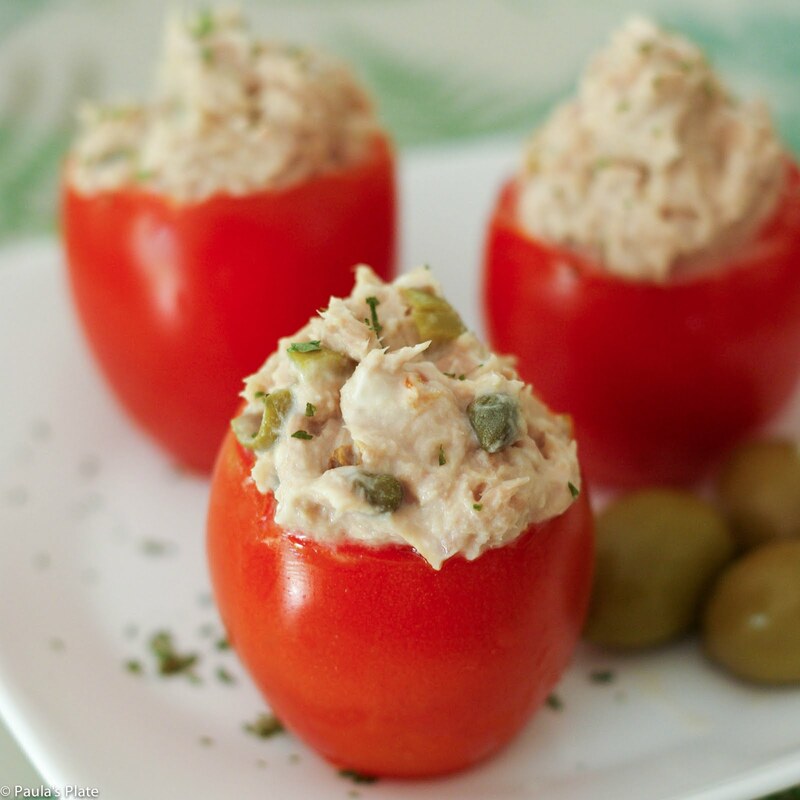 Spoon tuna mixture into tomatoes and enjoy!